This listing is for ONE cuff. 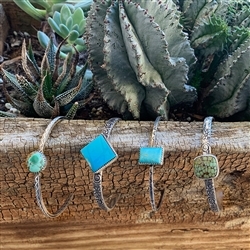 Each of these unique turquoise solitaire cuffs is adjustable to fit most wrists. 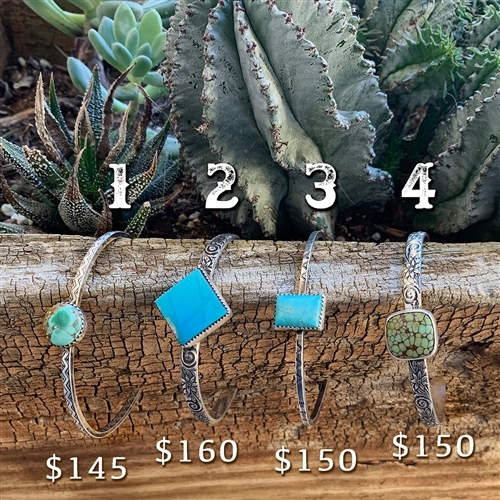 There is only one of each available so act quick!